One of the biggest technical challenges of running an online business is how well they are able to handle the scalability requirements. The Load traffic pattern keeps varying for online businesses and accordingly they will have to scale and maintain the acceptable performance levels. Since the Traffic patterns are fluctuating in online business, they either tend to under provision and loose customers (or) over provision and waste hardware + costs. This problem is well illustrated in the below diagrams. 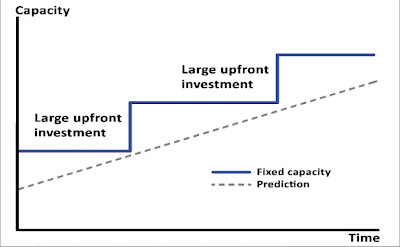 Business usually makes detailed capacity planning and large upfront investment in their hardware and software. This HW/SW’s are usually provisioned with fixed capacity. 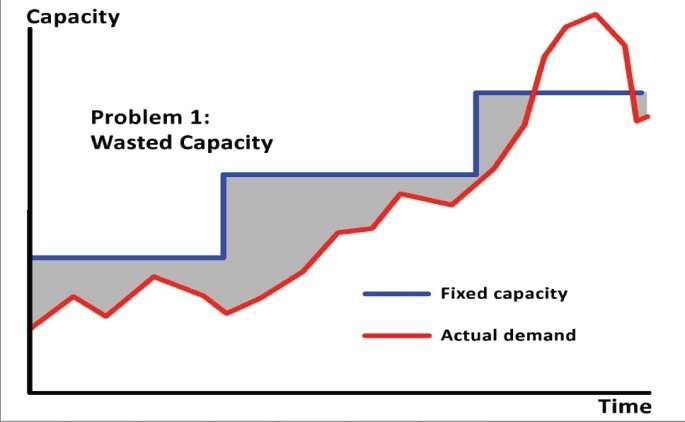 Many times because of variations in capacity planning and usage predictions, you can observe that HW/SW capacity is underutilized. This is because in reality the actual demand may not be uniform with your predictions. 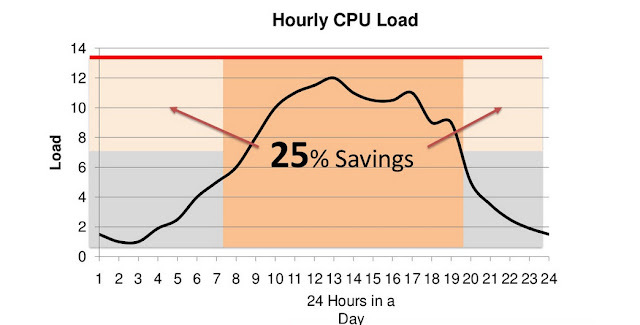 The systems are utilized well during peak period but lie idle most of the times when the peak period is over. This leakage is illustrated in the below diagram in Grey shades. 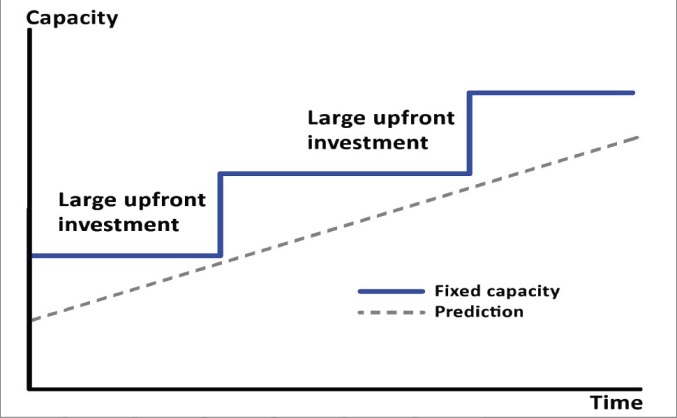 If businesses can closely align their load requirements and capacities then above scenarios can be countered efficiently. 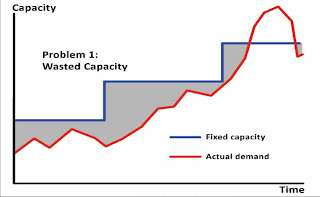 To solve this, we need an elastic and auto scalable infrastructure, which can be automated to expand and collapse depending upon the load traffic. Let us explore in AWS Cloud computing context how this problem can be solved. 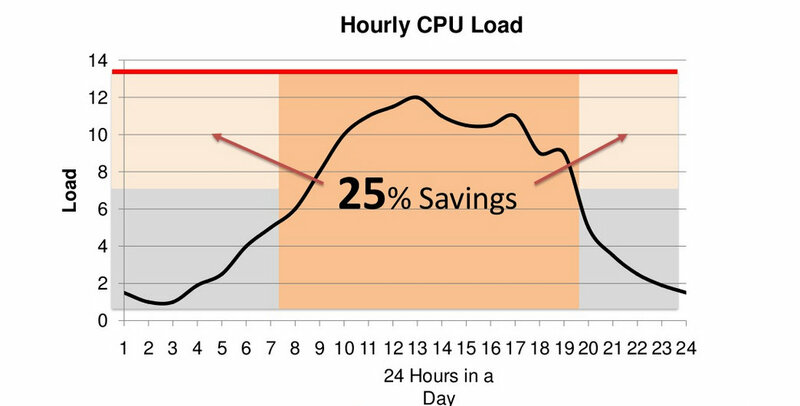 Auto scaling service was introduced by Amazon Web services especially to balance this problem by increasing/decreasing capacities automatically depending upon the traffic. Let us explore few Load Volatility patterns and how Amazon Auto Scaling can be used to reduce leakages and save cost. Daily Spikes and Valley pattern can be best illustrated by the below diagram. 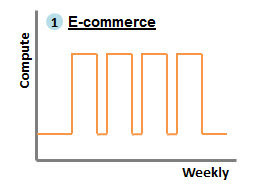 Weekly Spikes and Valley pattern can be best illustrated by the below diagram. 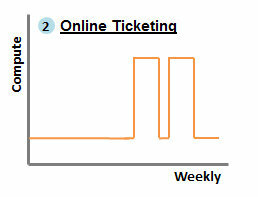 This pattern is usually observed by online ticketing companies which have peak usage for 4 days week and normal -> under-utilization other days of the week. Since the load is fluctuating in a week, these companies cannot afford to lease capacity weekly. 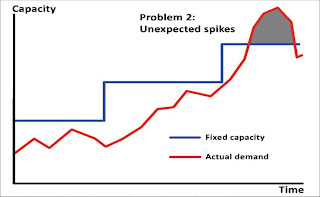 They usually plan their capacity based on the peak load traffic and provision their infrastructure. Since the entire infrastructure is running all days in a week, they will be wasting resources during the normal days. Savings: From the above calculation you can observe that using Amazon Auto Scaling ~25 % leakage can be saved in a week. 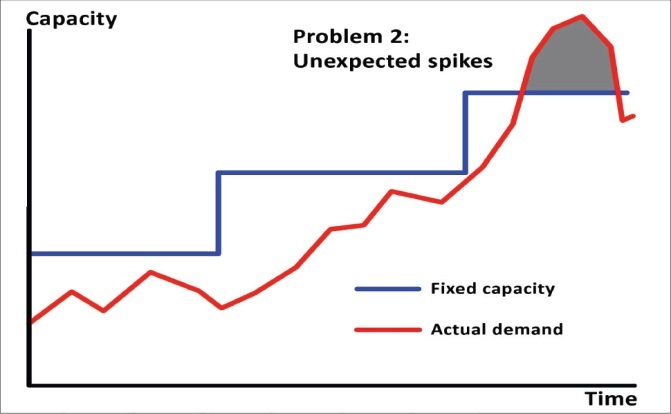 Seasonal Spikes pattern can be best illustrated by the below diagram. 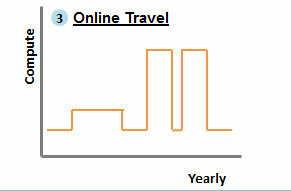 This pattern is usually observed by online travel/ecommerce companies which have peak holiday period for 3-5 months with heavy utilization and rest of the year with normal/ under-utilized capacities. Companies traditionally used to buy or lease capacities well before the season and spend months provisioning them before the holiday season. Whereas Amazon Cloud world, though you can launch instances on demand, still some companies have this traditional mind set and run their infrastructure with peak capacity throughout the year. Reasons: sometimes it is because of the bad application/infra architecture and at times it because of IT team’s inadequate knowledge in AWS infra. This is a complete waste of resources and will eventually lead to leakage in cost. Imagine for serving your peak traffic during holiday season you need 20 m1.large web/app instances, instead of having them running for whole year, you can automatically scale them down post the season gradually in Amazon infrastructure.